For related races, see 1992 United States elections. Presidential election results map. 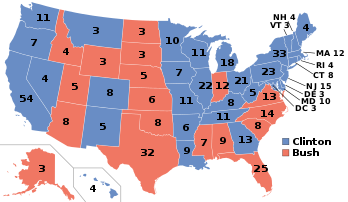 Blue denotes states won by Clinton/Gore, red denotes states won by Bush/Quayle. Numbers indicate electoral votes allotted to the winner of each state. Conservative journalist Pat Buchanan was the primary opponent of President Bush; Ron Paul, the Libertarian Party's presidential nominee in 1988, had planned to run against the President, but dropped out shortly after Buchanan's entry in December. Buchanan's best showing was in the New Hampshire primary on February 18, 1992—where Bush won by a 53–38% margin. President Bush won 73% of all primary votes, with 9,199,463 votes. Buchanan won 2,899,488 votes; unpledged delegates won 287,383 votes, and David Duke, a former Republican Louisiana state representative and Grand Wizard of the Ku Klux Klan won 119,115 votes. Just over 100,000 votes were cast for all other candidates, half of which were write-in votes for H. Ross Perot. Former Minnesota Governor Harold Stassen who had run for President 9 times since 1944 also mounted his final campaign. President George H. W. Bush and Vice President Dan Quayle easily won renomination by the Republican Party. However, the success of the conservative opposition forced the moderate Bush to move further to the right than in the previous election, and to incorporate many socially conservative planks in the party platform. Bush allowed Buchanan to give the keynote address at the Republican National Convention in Houston, Texas, and his culture war speech alienated many moderates. 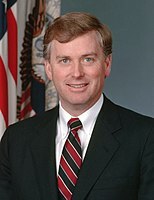 Vice President Dan Quayle was renominated by voice vote. After the successful performance by U.S. and coalition forces in the Persian Gulf War, President George H.W. Bush's approval ratings were 89%. His re-election was considered very likely. As a result, several high-profile candidates, such as Mario Cuomo and Jesse Jackson, refused to seek the Democratic nomination. In addition, Senator Al Gore refused to seek the nomination due to the fact his son was struck by a car and was undergoing extensive surgery as well as physical therapy. However, Tom Harkin, Paul Tsongas, Jerry Brown, Larry Agran, Bob Kerrey, Douglas Wilder and Bill Clinton chose to run as candidates. U.S. 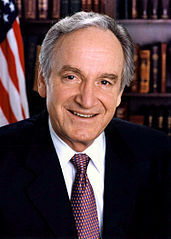 Senator Tom Harkin (Iowa) ran as a populist liberal with labor union support. Former U.S. Senator Paul Tsongas (Massachusetts) highlighted his political independence and fiscal conservatism. Former California Governor Jerry Brown, who had run for the Democratic nomination in 1976 and 1980 while he was still Governor, declared a significant reform agenda, including Congressional term limits, campaign finance reform, and the adoption of a flat income tax. 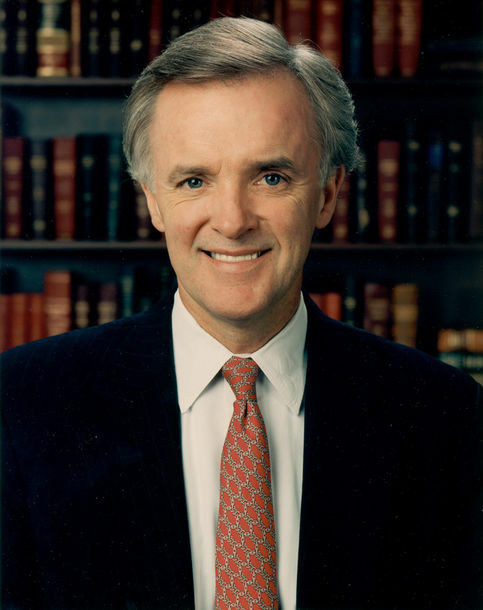 Nebraska Senator Bob Kerrey was an attractive candidate based on his business and military background, but made several gaffes on the campaign trail. Arkansas Governor Bill Clinton positioned himself as a centrist, or New Democrat. He was still relatively unknown nationally before the primary season. That quickly changed however, when a woman named Gennifer Flowers appeared in the press to reveal allegations of an affair. Clinton rebutted the story by appearing on 60 Minutes with his wife, Hillary Clinton. The primary season began with U.S. Senator Tom Harkin winning his native Iowa as expected. 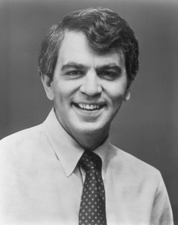 Paul Tsongas of Massachusetts won the New Hampshire primary on February 18, but Clinton's second-place finish, helped by his speech labeling himself "The Comeback Kid," energized his campaign. Jerry Brown won the Maine caucus and Bob Kerrey won South Dakota. Clinton won his first primary in Georgia. Tsongas won the Utah and Maryland primaries and a caucus in Washington. Harkin won caucuses in Idaho and Minnesota while Jerry Brown won Colorado. Bob Kerrey dropped out two days later. Clinton won the South Carolina and Wyoming primaries and Tsongas won Arizona. Harkin dropped out. Jerry Brown won the Nevada caucus. Clinton swept nearly all of the Super Tuesday primaries on March 10 making him the solid front runner. Clinton won the Michigan and Illinois primaries. Tsongas dropped out after finishing 3rd in Michigan. Jerry Brown, however, began to pick up steam, aided by using a 1–800 number to receive funding from small donors. Brown scored surprising wins in Connecticut, Vermont and Alaska. As the race moved to the primaries in New York and Wisconsin, Brown had taken the lead in polls in both states. Then he made a serious gaffe by announcing to an audience of New York City's Jewish community that, if nominated, he would consider Reverend Jesse Jackson as a vice presidential candidate. Clinton won dramatically in New York (41%–26%) and closely in Wisconsin (37%–34%). Clinton then proceeded to win a long streak of primaries leading up to Jerry Brown's home state of California. Clinton won this primary 48% to 41% and secured the delegates needed to clinch the nomination. Ross Perot was on the ballot in every state; in six states (Alaska, Arkansas, Connecticut, Louisiana, Oregon, Pennsylvania) Perot was placed upon the ballot through the formation of a political party supporting his candidacy. His electoral performance in each of those states led to those parties being given ballot-qualified status. Perot and retired Vice Admiral James Stockdale drew 19,743,821 votes (19% of the popular vote). Andre Marrou was on the ballot in every state. The 6th Libertarian Party National Convention was held in Chicago, Illinois. There, the Libertarian Party nominated Andre Marrou, former Alaska State Representative and the Party's 1988 vice-presidential candidate, for President. Nancy Lord was his running mate. Marrou and Lord drew 291,627 votes (0.28% of the popular vote). Lenora Fulani was on the ballot in thirty-nine states (352 Electoral Votes). Those states with a lighter shade are states in which she was an official write-in candidate. Lenora Fulani, who was the 1988 presidential nominee of the New Alliance Party, received a second consecutive nomination from the Party in 1992. Unlike in 1988, Fulani failed to gain ballot access in every state, deciding to concentrate some of that campaign funding towards exposure of her candidacy and the Party to the national public. Fulani also sought the endorsement of the Peace and Freedom Party of California, but despite winning a majority in that party's primary, she would lose the nomination to Ronald Daniels, the former Director the National Rainbow Coalition. Rather than pursuing a ballot space of her own, Fulani would endorse Daniels's candidacy in California. Fulani and her running mate Maria Elizabeth Munoz received 73,622 votes (0.1% of the popular vote). John Hagelin was on the ballot in twenty-eight states (264 Electoral Votes). Those states with a lighter shade are states in which he was an official write-in candidate. The newly formed Natural Law Party nominated scientist and researcher John Hagelin for President and Mike Tompkins for Vice President. The Natural Law Party had been founded in 1992 by Hagelin and 12 others who felt that governmental problems could be solved more effectively by following "Natural Laws." The party platform included preventive health care, sustainable agriculture and renewable energy technologies. During this and future campaigns, Hagelin favored abortion rights without public financing, campaign finance law reform, improved gun control, a flat tax, the eradication of PACs, a ban on soft money contributions, and school vouchers. The party's first presidential ticket appeared on the ballot in 28 states and drew 37,137 votes (<0.1% of the popular vote). 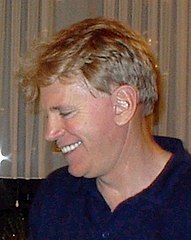 Howard Phillips was on the ballot in twenty-one states (215 Electoral Votes). Those states with a lighter shade are states in which he was an official write-in candidate. The U.S. Taxpayers Party ran its first presidential ticket in 1992, having only been formed the prior year. 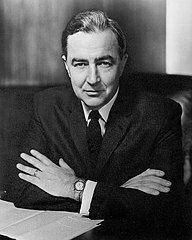 Initially Howard Phillips had hoped to successfully entice a prominent conservative politician, such as the former Senator Gordon J. Humphrey from New Hampshire, or even Patrick Buchanan who at the time had only been mulling over running against President Bush (he would officially declare in December of '91). No one, however, announced any intention to seek the Taxpayers Party nomination; Buchanan himself in the end endorsed President Bush at the Republican National Convention in Houston. Phillips had been unofficially nominated earlier in the year so as to allow the Party to be able to seek ballot access properly. This was a temporary post that was made permanent in September, with Phillips and Albion Knight being named the official presidential ticket of the party. Phillips and Knight drew 43,369 votes (<0.1% of the popular vote). Bo Gritz was on the ballot in eighteen states (161 Electoral Votes). Those states with a lighter shade are states in which he was an official write-in candidate. Former United States Army Special Forces officer and Vietnam veteran Bo Gritz was the nominee of the Populist Party, facing virtually no opposition. Under the campaign slogan "God, Guns and Gritz" and publishing his political manifesto "The Bill of Gritz" (playing on his last name rhyming with "rights"), he called for staunch opposition to what he called "global government" and "The New World Order", ending all foreign aid, abolishing federal income tax, and abolishing the Federal Reserve System. During the campaign, Gritz openly proclaimed the United States to be a "Christian Nation", stating that the country's legal statutes "should reflect unashamed acceptance of Almighty God and His Laws." His run on the America First/Populist Party ticket was prompted by his association with another far-right political Christian talk radio host, Tom Valentine. During his campaign, part of Gritz's standard stump speech was an idea to pay off the National debt by minting a coin at the Treasury and sending it to the Federal Reserve. This predates the 2012 Trillion dollar coin concept. During August 1992, Gritz attracted national attention as mediator during the government standoff with Randy Weaver at Ruby Ridge, Idaho. He received 106,152 votes nationwide (0.1% of the popular vote). In two states he had a respectable showing for a minor third party candidate: Utah, where he received 3.8% of the vote and Idaho, where he received 2.1% of the vote. In some counties, his support topped 10%, and in Franklin County, Idaho, was only a few votes away from pushing Bill Clinton into fourth place in the county. Lyndon LaRouche was on the ballot in seventeen states (156 Electoral Votes). Those states with a lighter shade are states in which he was an official write-in candidate. While officially running for the Democratic Presidential nomination, Lyndon LaRouche also decided to run as an Independent in the general election, standing as the National Economic Recovery candidate. LaRouche was in jail at the time, having been convicted of conspiracy to commit mail fraud in December 1988; it was only the second time in history that the presidency was sought from a prison cell (after Socialist Party candidate Eugene V. Debs, while imprisoned for his opposition to U.S. involvement in World War I, ran in 1920). His running-mate was James Bevel, a civil rights activist who had represented the LaRouche movement in its pursuit of the Franklin child prostitution ring allegations. In addition to the displayed states, LaRouche had nearly made the ballot in the states of New York and Mississippi. 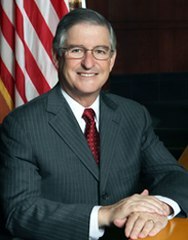 In the case of New York, while his petition was valid and had enough signatures, none of his electors filed declarations of candidacy; in the cases of Mississippi a sore-loser law was in place, and because he ran in that state's Democratic presidential primary he was ineligible to run as an Independent in the general. Ohio also had a sore-loser law, but it was ruled in Brown vs. Taft that it did not apply to presidential candidates. LaRouche and Beval drew 22,863 votes. (<0.1% of the popular vote). James Warren was on the ballot in thirteen states (148 Electoral Votes). Those states with a lighter shade are states in which he was an official write-in candidate. 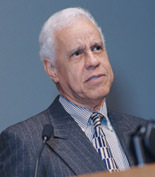 James Warren, who was the 1988 presidential nominee of the Socialist Workers Party, received a second consecutive nomination from the Party on the first of November 1991. Warren had two running mates that varied from state to state; Estelle DeBates and Willie Mae Reid, the latter also a resident of Illinois. Warren received 22,882 votes (<0.1% of the popular vote). Ron Daniels was on the ballot in eight states (126 Electoral Votes). Those states with a lighter shade are states in which he was an official write-in candidate. Ronald Daniels was the former executive director for the Center for Constitutional Rights, the former director of the National Rainbow Coalition, and the worked on both of Jesse Jackson's campaigns for the Democratic presidential nomination. Asiba Tupahache, a Native American activist from New York was his running-mate. Though running an Independent campaign under the label "Campaign for a Better Tomorrow", Daniels was endorsed by a number of third parties across the states, most notably the Peace and Freedom Party of California; though he had lost that party's presidential primary to Lenora Fulani, the nominee of the New Alliance Party, the delegates at its convention voted in favor of his candidacy 110–91, the only time it has ever nominated someone other than the winner of the primary. Daniels and Tupachache drew 27,396 votes (<0.1% of the popular vote). The 1992 campaign also marked the entry of Ralph Nader into presidential politics as a candidate. Despite the advice of several liberal and environmental groups, Nader did not formally run. Rather, he tried to make an impact in the New Hampshire primaries, urging members of both parties to write-in his name. As a result, several thousand Democrats and Republicans wrote-in Nader's name. Despite supporting mostly liberal legislation during his career as a consumer advocate, Nader received more votes from Republicans than Democrats. The Worker's League nominated Helen Halyard for President; she was the party's nominee for Vice President in 1984 and 1988. Fred Mazelis was nominated for Vice President. Halyard and Mazelis drew 3,050 votes. John Yiamouyiannis, a major opponent of water fluoridation, ran as an Independent under the label "Take Back America". Allen C. McCone was his running-mate. Yiamouyiannis and McCone drew 2,199 votes. The Socialist Party nominated J. Quinn Brisben for President and Barbara Garson for Vice President. Brisben and Garson drew 2,909 votes. The Grassroots Party nominated Jack Herer, a noted cannabis activist for President and Derrick Grimmer for Vice President. Herer and Grimmer drew 3,875 votes. The Prohibition Party nominated Earl Dodge, the party's chairman for President and George Ormsby for Vice President. Dodge and Ormsby drew 935 votes. Drew Bradford was an Independent candidate for the Presidency; he did not have a running-mate. Bradford drew 4,749 votes. Eugene R. Hem was an Independent candidate for the Presidency, running under the label "The Third Party". His running-mate was Joanne Roland. Hem and Roland drew 405 votes. 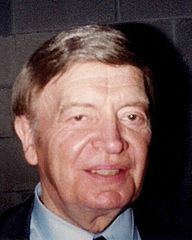 Delbert Ehlers was an Independent candidate for the Presidency. His running-mate was Rick Wendt. Ehlers and Wendt drew 1,149 votes. James Boren was an Independent candidate for the Presidency, running under the label "Apathy". His running-mate was Bill Weidman. Boren and Weidman drew 956 votes. Professor Isabell Masters was an Independent candidate for the Presidency, running under the label "Looking Back". Her running-mate was her son, Walter Ray Masters. Masters drew 327 votes. The American Party nominated Robert J. Smith for President and Doris Feimer for Vice President. However, for a time neither the Utah or South Carolina state parties would endorse the ticket. The American Party of South Carolina would ultimately endorse the candidacy of Howard Phillips, the nominee of the U.S. Taxpayers Party, while the American Party of Utah would decide to endorse Smith. Smith and Feimer drew 291 votes. The Workers World Party nominated Gloria La Riva for President and Larry Holmes for Vice President. Initially the party had voted not to field a presidential candidate in 1992, but it was later found that the party would need to get at least half a percent of the vote in New Mexico in order to maintain its ballot access in that state. La Riva and Holmes drew 181 votes. After Bill Clinton secured the Democratic Party's nomination in the spring of 1992, polls showed Ross Perot leading the race, followed by President Bush and Clinton in third place after a grueling nomination process. Two-way trial heats between Bush and Clinton in early 1992 showed Bush in the lead, however. But as the economy continued to grow sour and the President's approval rating continued to slide, the Democrats began to rally around their nominee. 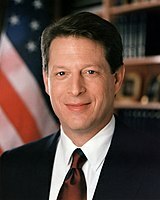 On July 9, 1992, Clinton chose Tennessee senator and former 1988 presidential candidate Al Gore to be his running mate. As Governor Clinton's nomination acceptance speech approached, Ross Perot dropped out of the race, convinced that staying in the race with a "revitalized Democratic Party" would cause the race to be decided by the United States House of Representatives. Clinton gave his acceptance speech on July 16, 1992, promising to bring a "new covenant" to America, and to work to heal the gap that had developed between the rich and the poor during the Reagan/Bush years. The Clinton campaign received the biggest convention "bounce" in history  which brought him from 25 percent in the spring, behind Bush and Perot, to 55 percent versus Bush's 31 percent. After the convention, Clinton and Gore began a bus tour around the United States, while the Bush/Quayle campaign began to criticize Clinton's character, highlighting accusations of infidelity and draft dodging. The Bush campaign emphasized its foreign policy successes such as Desert Storm, and the end of the Cold War. Bush also contrasted his military service to Clinton's lack thereof, and criticized Clinton's lack of foreign policy expertise. However, as the economy was the main issue, Bush's campaign floundered across the nation, even in strongly Republican areas,  and Clinton maintained leads with over 50 percent of the vote nationwide consistently, while Bush typically saw numbers in the upper 30s. As Bush's economic edge had evaporated, his campaign looked to energize its socially conservative base at the 1992 Republican National Convention in Houston, Texas. At the Convention, Bush's primary campaign opponent Pat Buchanan gave his famous "culture war" speech, criticizing Clinton's and Gore's social progressiveness, and voicing skepticism on his "New Democrat" brand. After President Bush accepted his renomination, his campaign saw a small bounce in the polls, but this was short lived, as Clinton maintained his lead. The campaign continued with a lopsided lead for Clinton through September,  until Ross Perot decided to re-enter the race. Ross Perot's re-entry in the race was welcome by the Bush campaign, as Fred Steeper, a poll taker for Bush, said, "He'll be important if we accomplish our goal, which is to draw even with Clinton." Initially, Perot's return saw the Texas billionaire's numbers stay low, until he was given the opportunity to participate in a trio of unprecedented three-man debates. The race narrowed, as Perot's numbers significantly improved as Clinton's numbers declined, while Bush's numbers remained more or less the same from earlier in the race  as Perot and Bush began to hammer at Clinton on character issues once again. Many character issues were raised during the campaign, including allegations that Clinton had dodged the draft during the Vietnam War, and had used marijuana, which Clinton claimed he had pretended to smoke, but "didn't inhale." Bush also accused Clinton of meeting with communists on a trip to Russia he took as a student. Clinton was often accused of being a philanderer by political opponents. 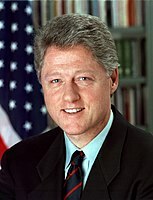 On November 3, Bill Clinton won the election to serve as the 42nd President of the United States by a wide margin in the Electoral College, receiving 43% of the popular vote against Bush's 37.5% and Perot's 18.9%. It was the first time since 1968 that a candidate won the White House with under 50% of the popular vote. Only Washington, D.C. and Clinton's home state of Arkansas gave the majority of their votes to a single candidate in the entire country; the rest were won by pluralities of the vote. Even though Clinton roughly received 3.1 million more votes than Democratic nominee Michael Dukakis had four years earlier, the Democrats recorded a 2.6 percentage point decrease in their share of the popular vote compared to 1988 due to the higher turnout. His 43% share of the popular vote was the second-lowest for any winning candidate in the 20th century after Woodrow Wilson in 1912 (41.8%). President Bush's 37.5% was the lowest percentage total for a sitting president seeking re-election since William Howard Taft, also in 1912 (23.2%). 1992 was, as the 1912 election was, a three-way race (that time between Taft, Woodrow Wilson, and Theodore Roosevelt). It was also the lowest percentage for a major-party candidate since Alf Landon received 36.5% of the vote in 1936. Bush had a lower percentage of the popular vote than even Herbert Hoover, who was defeated in 1932 (39.7%). However, none of these races included a major third candidate. As of the 2016 election, Bush has been the last president voted out of office after one term, as Clinton, George W. Bush, and Barack Obama were all re-elected to second terms in office. 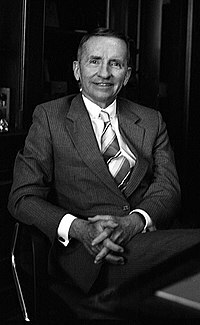 Independent candidate Ross Perot received 19,741,065 with 18.9% of the popular vote. The billionaire used his own money to advertise extensively, and is the only third-party candidate ever allowed into the nationally televised presidential debates with both major party candidates (Independent John Anderson debated Republican Ronald Reagan in 1980, but without Democrat Jimmy Carter, who had refused to appear in a three-man debate). Speaking about the North American Free Trade Agreement, Perot described its effect on American jobs as causing a " giant sucking sound". Perot was ahead in the polls for a period of almost two months – a feat not accomplished by an independent candidate in almost 100 years. [ citation needed] Perot lost much of his support when he temporarily withdrew from the election, only to declare himself a candidate again soon after. This was also the most recent time that a third-party candidate won a county. Perot's almost 19% of the popular vote made him the most successful third-party presidential candidate in terms of popular vote since Theodore Roosevelt in the 1912 election. Also, his 19% of the popular vote was the highest ever percent of the popular vote for a candidate who did not win any electoral votes. Although he did not win any states, Perot managed to finish ahead of one of the two major party candidates in two states: In Maine, he received 30.44% of the vote to Bush's 30.39% (Clinton won Maine with 38.77%); in Utah, he collected 27.34% of the vote to Clinton's 24.65%. Bush won that state with 43.36%. The election was the most recent in which Georgia and Montana voted for the Democratic candidate, the last time the state of Florida backed the losing candidate, and the last time that Colorado voted Democratic until 2008. This was also the first time since Texas' admission to the Union in 1845 that a Democrat won the White House without winning the state, and the second time a Democrat won the White House without North Carolina (the first was 1844), and the second time since Florida's admission (also in 1845) that a Democrat won without winning the state ( John F. Kennedy in 1960 was the first). Clinton was also the only Democrat at that point to win every electoral vote in the Northeast except for Lyndon Johnson in 1964. Every Democrat since Clinton has repeated this result, except for Al Gore, who narrowly lost New Hampshire in 2000, and Hillary Clinton, who lost Pennsylvania and Maine's second congressional district in 2016. Also, this was the first time since 1964 that the following nine states had voted Democratic: California, Colorado, Illinois, Montana, Nevada, New Hampshire, New Jersey, New Mexico, and Vermont. The 168 electoral votes received by Bush, added to the 426 electoral votes he received in 1988, gave him the most total electoral votes received by any candidate who was elected to the office of president only once (594). Unlike Bush, Clinton was able to unite his fractious and ideologically diverse party behind his candidacy, even when its different wings were in conflict. To garner the support of moderates and conservative Democrats, he attacked Sister Souljah, an obscure rap musician whose lyrics Clinton condemned. Furthermore, Clinton made clear his support of the death penalty and would later champion making school uniforms in public schools a requirement. Clinton could also point to his centrist record as governor of Arkansas. More liberal Democrats were impressed by Clinton's record on abortion and affirmative action. His strong connections to African Americans also played a key role. In addition, he organized significant numbers of young voters and became a symbol of the rise of the Baby Boomer generation to political power. Supporters remained energized and confident, even in times of scandal or missteps. Clinton's election ended an era in which the Republican Party had controlled the White House for 12 consecutive years, and for 20 of the previous 24 years. The election also brought the Democrats full control of the legislative and executive branches of the federal government, including both houses of U.S. Congress and the presidency, for the first time since the administration of the last Democratic president, Jimmy Carter. This would not last for very long, however, as the Republicans won control of both the House and Senate in 1994. Reelected in 1996, Clinton would become the first Democratic President since Franklin D. Roosevelt to serve two full terms in the White House. 1992 was arguably a "realigning" election. It made the Democratic Party dominant in presidential elections in the Northeast, the Great Lakes region (until 2016) and the West Coast, where many states had previously either been swing states or Republican-leaning. Clinton picked up several states that went Republican in 1988, and which have remained in the Democratic column ever since: California, Connecticut, Delaware, Illinois, most of Maine (besides the state's second congressional district, which broke the state's total straight Democratic voting record since, when it voted for Republican presidential candidate Donald Trump in 2016), Maryland, New Jersey, and Vermont. Vermont, carried by Clinton, had been heavily Republican for generations prior to the election, voting for a Democrat only once (in 1964). The state has been won by the Democratic nominee in every presidential election since. Bill Clinton narrowly defeated Bush in New Jersey (by two points), which had voted for the Republican nominee all but twice since 1948. Clinton would later win the state in 1996 by eighteen points; like Vermont, Republicans have not won the state since. California, which had previously been a Republican stronghold from 1952 to 1988, was now solidly Democratic. Clinton, a lifelong Southerner, was able to carry several states in the South that the GOP had been winning for decades, but ultimately won only four of eleven former Confederate states. This reflected the final shift of the South to the Republican Party. This was also the last election where Colorado voted Democratic until 2008. The election was the last time that a member of either party won the presidency without winning Florida. Source (Popular Vote): Leip, David. 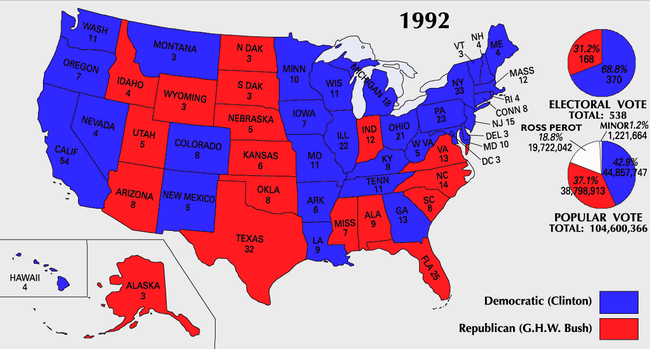 "1992 Presidential Election Results". Dave Leip's Atlas of U.S. Presidential Elections. Retrieved August 7, 2005. Source: Voter News Service exit poll, reported in The New York Times, November 10, 1996, 28.
" It's the economy, stupid"
" Read my lips: no new taxes"
^ "US President – R Primaries Race". Our Campaigns. February 1, 1992. Retrieved August 18, 2016. ^ "William J. Clinton: Address Accepting the Presidential Nomination at the Democratic National Convention in New York". Presidency.ucsb.edu. July 16, 1992. Retrieved August 18, 2016. ^ "CPD: 1992 Debates". www.debates.org. Retrieved January 8, 2019. ^ a b c d "CPD: 1992 Debates". www.debates.org. Retrieved January 8, 2019. ^ Conason, Joe (July/August 1992). "Reason No. 1 Not To Vote For Bill Clinton: He Cheats on His Wife." Spy magazine. ^ Kurtz, Howard (August 12, 1992). "Clinton Angrily Denounces Report of Extramarital Affair as 'a Lie.'" The Washington Post. ^ Kornacki, Steve (January 21, 2011). "Why the 'good' Iraq war wasn't so good" Archived January 26, 2011, at the Wayback Machine. Salon. ^ Mitchell, Alison (January 27, 1996). "CLINTON'S ADVISERS; Sharp Split Over Issues: Economics Or Values?". The New York Times. ^ Shapiro, Walter (November 16, 1992). "Baby-boomer Bill Clinton: A Generation Takes Power". Time. ^ "THE 1992 ELECTIONS: DISAPPOINTMENT -- NEWS ANALYSIS An Eccentric but No Joke; Perot's Strong Showing Raises Questions On What Might Have Been, and Might Be". The New York Times. November 5, 1992. ^ Los Angeles Times. Los Angeles Times Exit Poll 1992, Nov, 1992 [survey question]. USLAT.92EXIT.QN. Los Angeles Times [producer]. Storrs, CT:Roper Center for Public Opinion Research, iPOLL [distributor], accessed Jul-20-2015. ^ ABC News, CBS News, CNN, NBC News. VRS Election Day Exit Poll 1992, Nov, 1992 [survey question]. USVRS.92EXIT.Q08. Voter Research & Surveys [producer]. Storrs, CT:Roper Center for Public Opinion Research, iPOLL [distributor], accessed Jul-20-2015. ^ "Plurality Wins in the 1992 Presidential Race: Perot's Contribution to Clinton's Victory". Archive.fairvote.org. Retrieved August 18, 2016. ^ E.J. Dionne Jr. (November 8, 1992). "Perot Seen Not Affecting Vote Outcome". The Washington Post. Retrieved August 18, 2016. ^ AARON W. BROWN (February 23, 2013). "H. Ross Perot and George C. Wallace: Defining the Archetype of Third-party "Success" in Presidential Elections" (PDF). Digitalcommons.northgeorgia.edu. Retrieved August 18, 2016. ^ Lacy, Dean; Burden, Barry C. (1999). "The Vote-Stealing and Turnout Effects of Ross Perot in the 1992 U.S. Presidential Election". American Journal of Political Science. 43 (1): 233. doi: 10.2307/2991792. ISSN 0092-5853. JSTOR 2991792. ^ "Vermont Presidential Election Voting History". 270towin.com. Retrieved August 18, 2016. ^ "Surprise Swing States". CBS News. February 11, 2009. Retrieved October 3, 2013. ^ "1992 Presidential General Election Data – National". Uselectionatlas.org. Retrieved February 11, 2012. "Outline of U.S. History: Chapter 15: Bridge to the 21st century". Official web site of the U.S. Department of State. Archived from the original on December 14, 2005. Retrieved December 10, 2005. Bulk of article text as of January 9, 2003 copied from this page, when it was located at http://usinfo.state.gov/usa/infousa/facts/history/ch13.htm#1992 and titled "An Outline of American History: Chapter 13: Toward the 21st century". This page is in the public domain as a government publication. Booknotes interview with Tom Rosenstiel on Strange Bedfellows: How Television and the Presidential Candidates Changed American Politics, 1992, August 8, 1993.
" I Need to Wake Up"